BOSSIER CITY, La. August 26, 2016 – Taking advantage of the color and profile options provided by McElroy Metal, architects for the Pickens County (S.C.) YMCA were able to provide an innovative and attractive aesthetic to the new building on campus, but still make it fit in with surrounding structures. 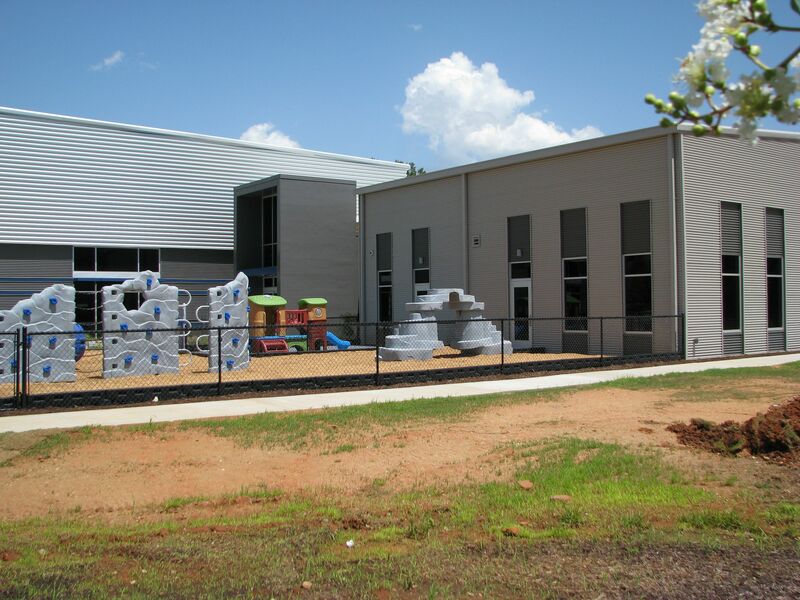 The Pickens County YMCA in Easley, S.C., is adjacent to the Grace Church, which also features metal wall panels from McElroy Metal. 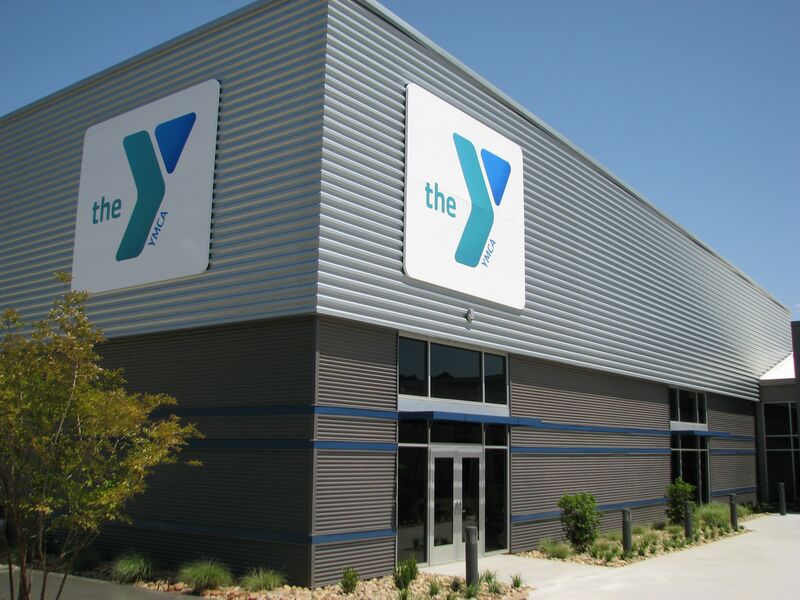 The Pickens County YMCA has 8,000 members enjoying the full-size basketball court, wellness room, community room, multi-purpose room and aerobics area. The facility also houses a nursery and child watch room, a small kitchen, various offices, a steam and sauna room as well as men’s and women’s locker rooms/showers, with separate facilities for adults and children. 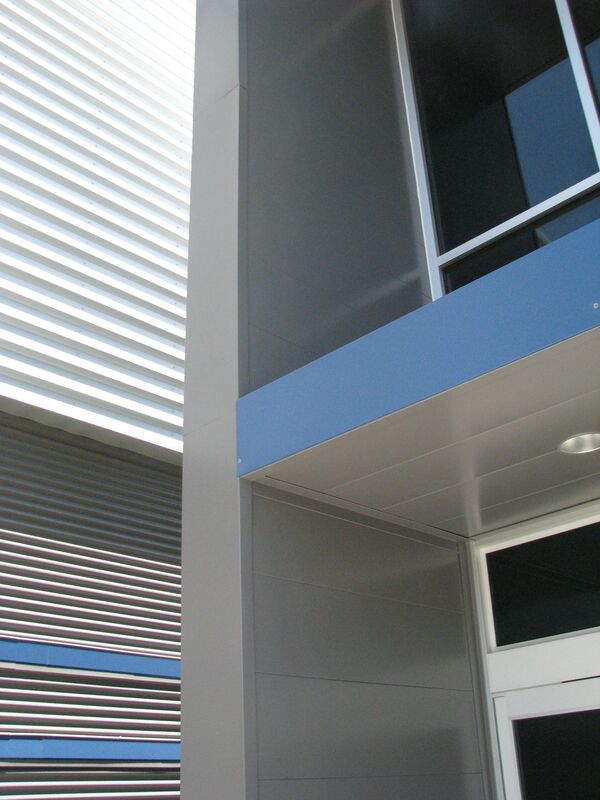 “We find that metal wall panels offer a wide range of options with color, texture and orientation that gives us endless design opportunities while providing a durable and sustainable wall system at a very budget friendly price point,” says Stubbs. By rotating panels – installing them horizontally as opposed to vertically – it’s possible to create a very different look. Changing colors obviously mixes things up as well. 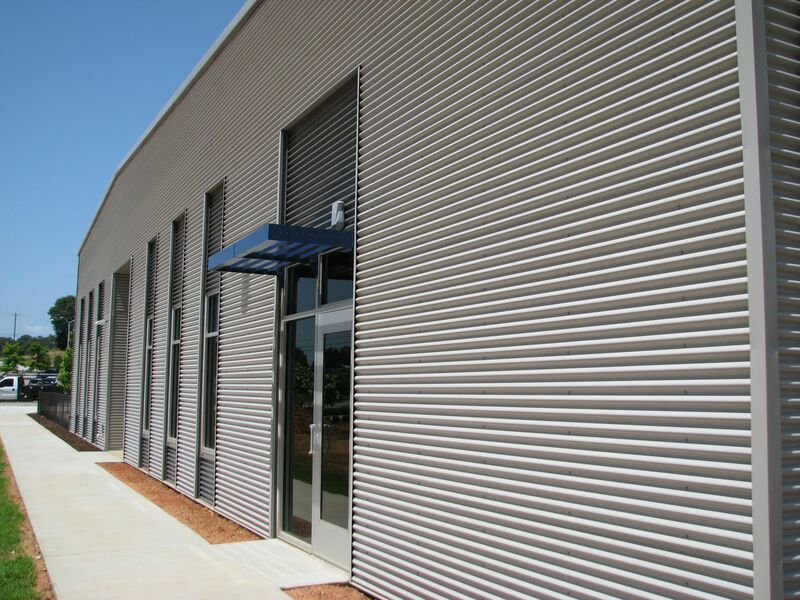 McElroy Metal produced and provided 5,400 square feet of 24-gauge Mega-Rib panels in premium Texas Silver metallic finish with mitered corners; 17,500 square feet of 24-gauge Multi-Cor 7/8-inch corrugated panels in PVDF Ash Gray and Charcoal for the bulk of the walls; 3,500 square feet of 22-gauge Marquee-Lok flush wall for the interior liner panel and formal entry element in PVDF Ash Gray for the interior and PVDF Charcoal for the exterior; and 1,500 square feet of 24-gauge Marquee-Lok soffit, vented and non-vented, in PVDF Charcoal Gray. All of these McElroy products are 100 percent recyclable. The challenge for the installer was to marry the McElroy Metal architectural wall panels with the pre-engineered metal building, including the trapezoidal roof. Roebuck Building Company of Roebuck, S.C., installed the array of McElroy profiles and colors, including the mitered corners on the Mega-Rib panels. The “blue band” is an aluminum composite material from another supplier. Roebuck was able to tie into and between the upper Mega-Rib panels and the lower Multi-Cor panels with McElroy Metal trim packages. The Marquee-Lok wrapped the entire entry element at the main entrance. Architect: Gable Stubbs, McMillan, Pazdan, Smith Architects, Greenville, S.C.
Installer: Roebuck Buildings, Roebuck, S.C.